Dan Biggar struck a post with the last kick of the game as Bath edged out Northampton Saints, while Bristol Bears extended Harlequins' Premiership losing streak and Wasps saw off Sale Sharks on Saturday. 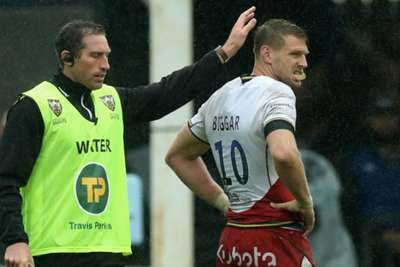 Biggar had the chance to salvage a draw for Saints in the wind and rain at The Rec, but the Wales fly-half's conversion attempt from the touchline hit an upright to ensure Bath claimed a 17-15 victory. A fine day for the West Country in the #GallagherPrem as @bathrugby and @BristolBears both enjoy victories, while @WaspsRugby take the win away from home. 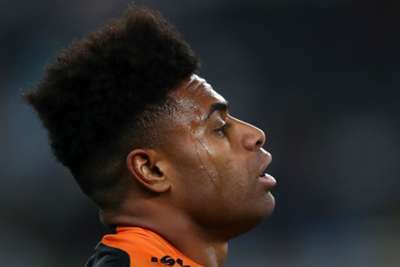 Wasps are up to third following their first win at the AJ Bell Stadium, Nathan Hughes making amends for an early yellow card by scoring the bonus-point try for the visitors in a 31-13 triumph over Sale.